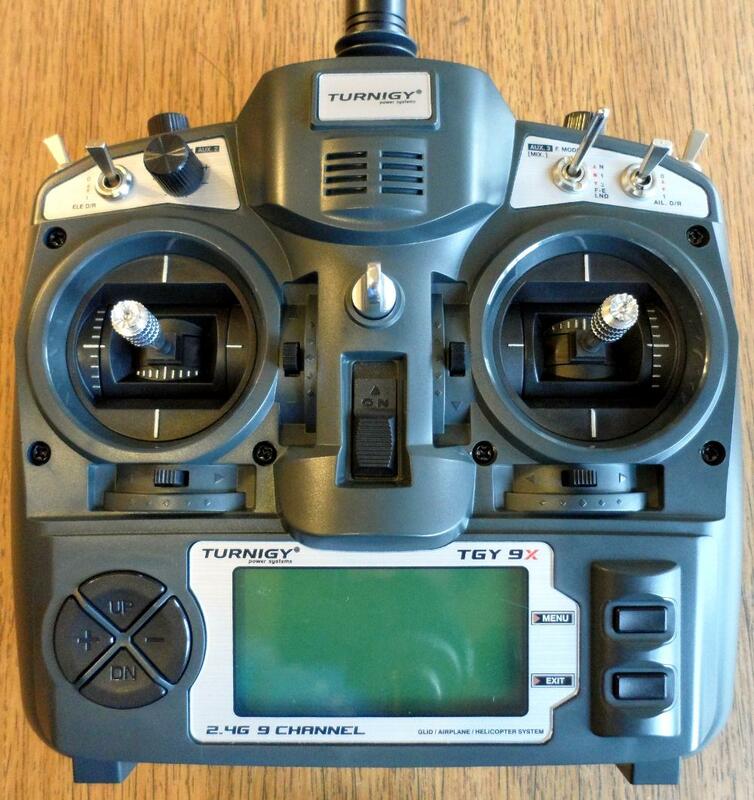 NEW Turnigy 9X ROBOT CONTROLLER V2 2.4GHz Radio with 8ch Rx & Popular Mods like ER9X! 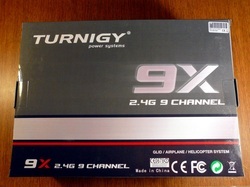 I am selling NEW & UPGRADED Turnigy 9X Tx/Rx packages with several key modifications. This package is designed specifically for Robot Controlling, because it has both sticks setup to self-center. Note that the photos are NOT updated yet. 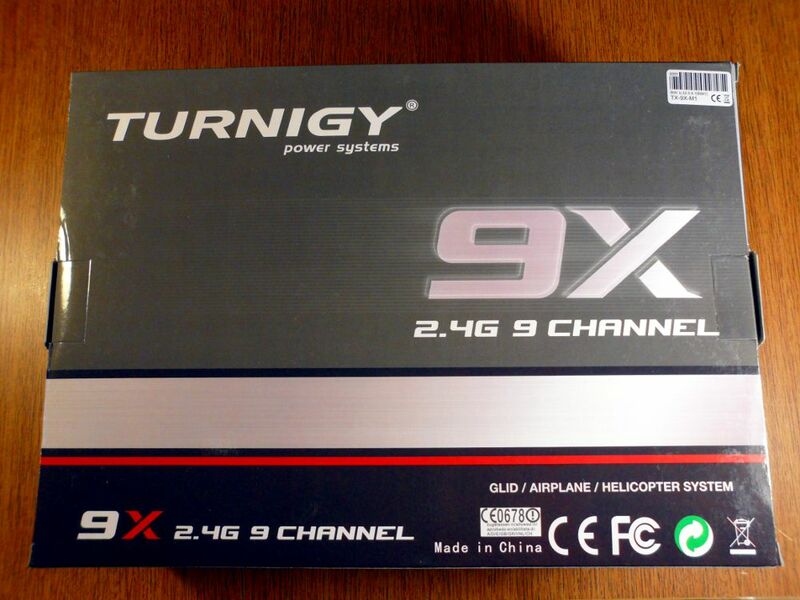 It is otherwise identical to the normal 9X radio I sell. 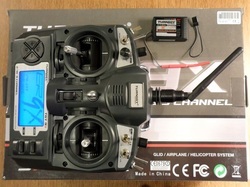 I can setup the unit with FrSky if desired, contact me if you're interested in that. I have a limited number of these available, so order soon if you want one! These mods transform the radio from a sleeper to a keeper! 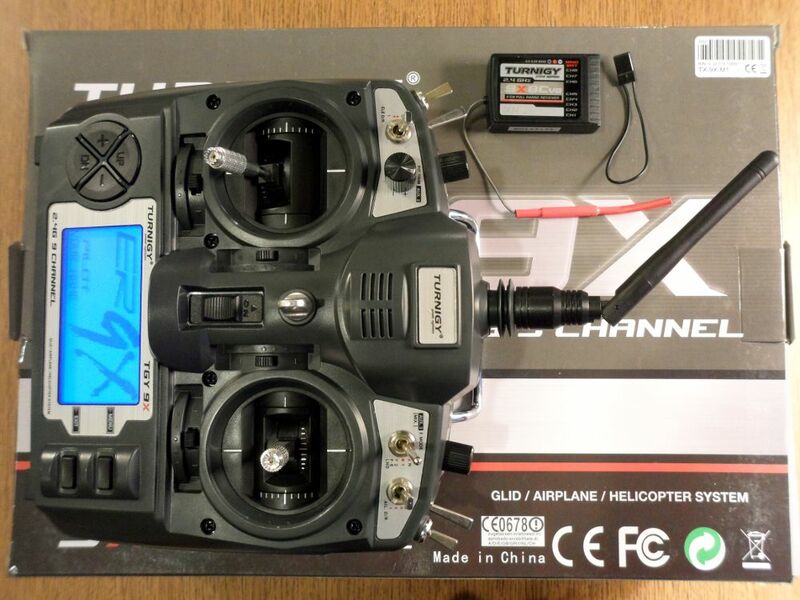 I highly recommend it with the ER9X firmware. It is absolutely amazing, that's all I can say. Total flexibility, assign any function to any channel, mix anything to anything, multiple mixes, capabilities I've never seen even on the JR 12X! Add to that the ability to easily backup your model programming to your PC, edit models on the PC, select from various versions of 3rd party firmware, and numerous other mods - this is a total winner! On top of all that, this radio uses Frequency Hopping Spread Spectrum (FHSS) technology for a state-of-the-art radio link that is almost totally immune from noise and interference! 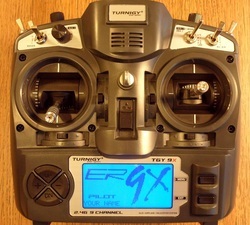 For reference, this same basic radio is referred to as different models including: Turnigy 9X V2, TH9X, FlySky, Eurgle, and Imax. There are at least a couple of different hardware versions, and I'm selling the latest one. 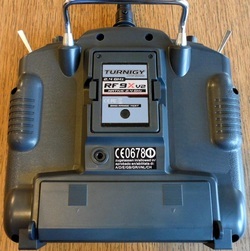 Fully open battery compartment allows use of any AA battery, or I recommend the 3S Li-Fe optional pack. 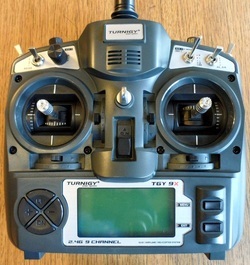 Front view of the entire radio, except for the 2.4GHz antenna which extends out the top of the photo frame. It has the usual 45/90 degree bend, and 180 degree totation. Very clean and nice layout. I planned carefully so that no modifications to the outside of the radio are required. It looks completely stock, with no holes, and no exterior alterations at all. 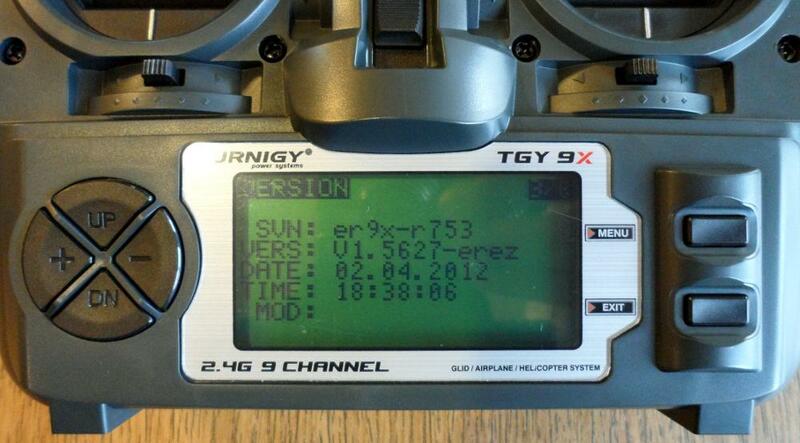 Here you can see the Turnigy 9X main screen booting the ER9X firmware with backlight on. This firmware is truly amazing, rivaling features I've seen on any radio at any price. Back view of radio. Completely stock, no holes or modifications to the outside. NOTE: Even though the RF module is removable, I highly recommended you do NOT remove it. This is because the RF coax goes through the radio. 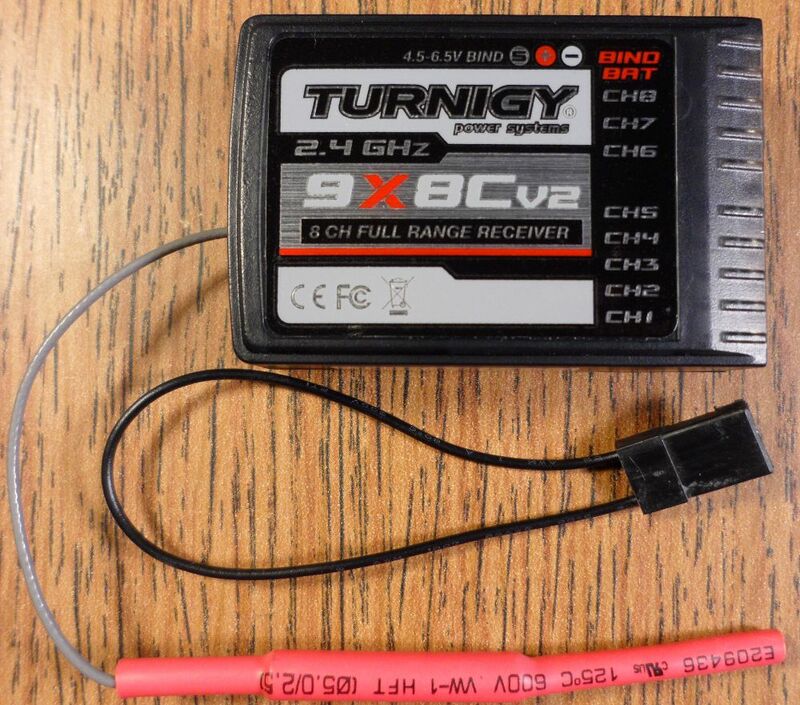 When you re-insert the module, it's almost guaranteed that you will crimp the coax, which could reduce the range. 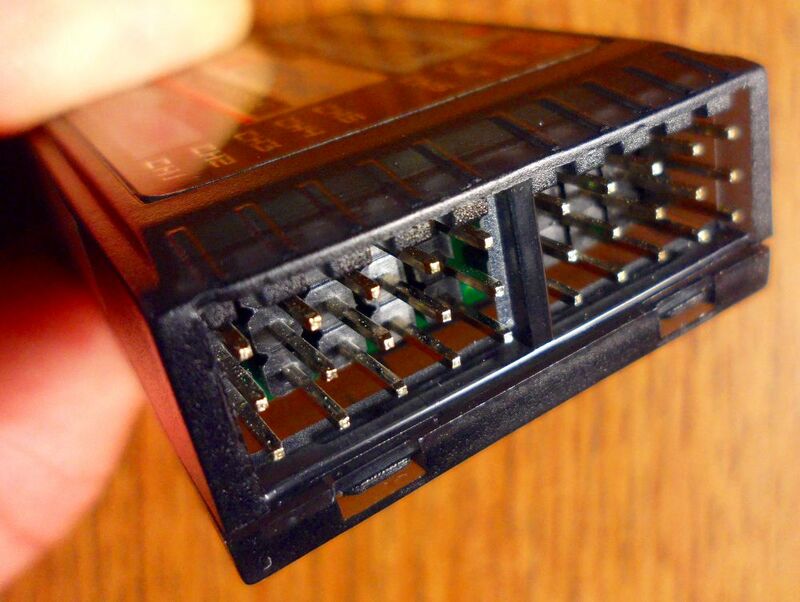 There's really no reason to remove the RF module unless you are replacing it with a 3rd party unit. In addition, I have already installed the PPM SIM/TRAINER fix, so there's no need to remove the module for that either! Same view of version screen with backlight on. NOTE: Be sure to increase contrast to 30 to 32 or so after freshly flashing the radio or the display will appear "slow" to refresh and look "faded". Here you can see the back of the front half of the radio. 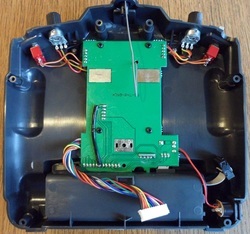 You can see the wires connected to the main board with the 10-pin connector on the lower middle/left, and the transistor modified LCD driver on the middle/right below the gimbal. 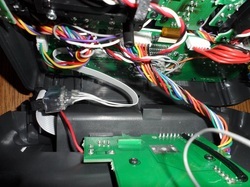 The new wiring is carefully secured with hot glue or tie wraps to eliminate any possible binding or pulling damage. While I have these open I carefully check everything and correct any problems or potential problems before I assemble and ship them. I've done a lot of these and so I know what to look for, such as loose gimbal pots and poor wire routing! I've seen a number of defective units from the factory as well, but you won't have to worry about that. 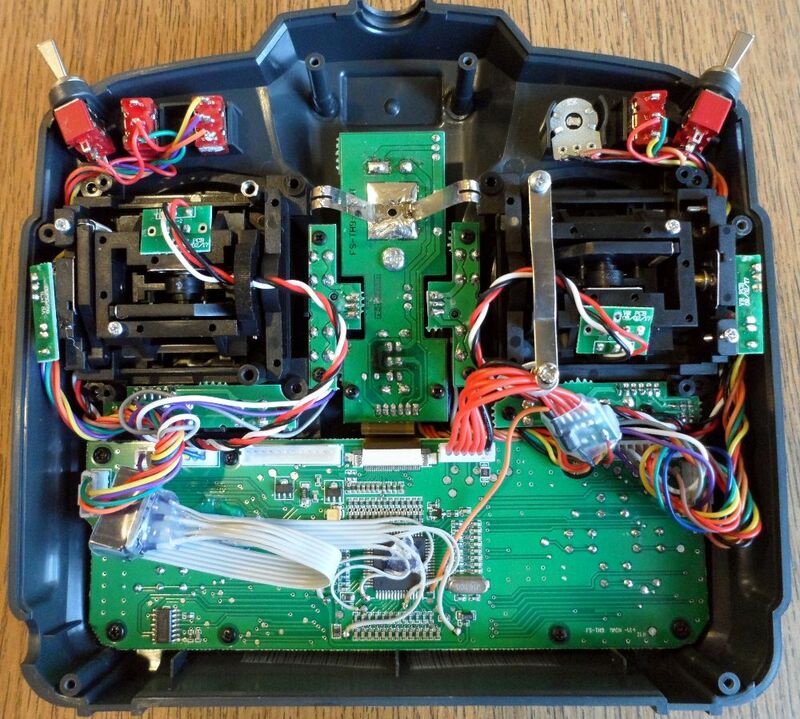 Here you can see the back/inside of the 9X radio. You will notice the mod on the circuit board for the PPM Simulator/Trainer fix (black shrink covered resistor, next to lower left screw). This allows the radio to be used with a Simulator or as a Trainer radio through the 3.5mm rear jack without unplugging the Tx module. There are no negative side affects to this mod, it just fixes those problems. 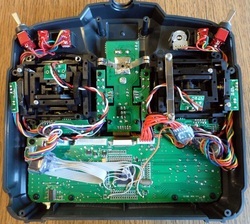 Here's a view inside the radio with front and back connected, about to join them. That's it...front and back are still easily detachable with my mods, as they are when stock. Last but not least, the included 9X8C V2 8Ch Receiver! 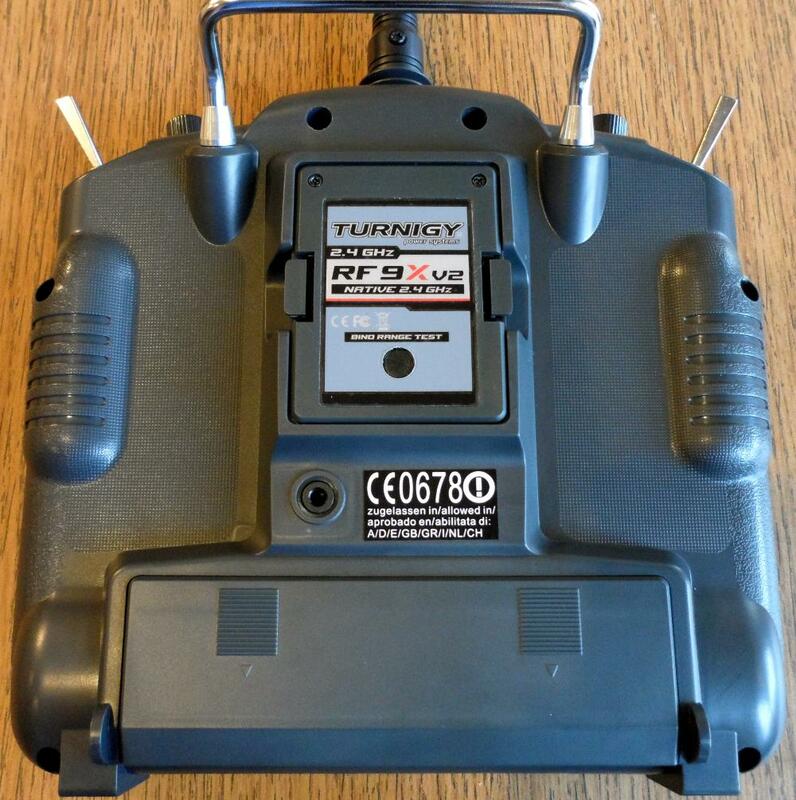 This is the Turnigy 9X8C V2 Full Range receiver included with each Transmitter. 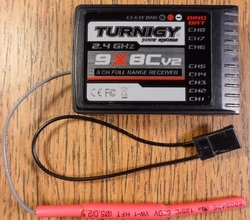 It includes the bind plug as shown. ==> I also have more of these for sale separately at the bottom of the page. Yep, this is the box everything comes in... Well, two things...the Modified Tx and Rx. All documentation and instructions are online. Everything shown together - The whole package! Here's the modified radio, receiver, and bind plug sitting on the box. This is everything you will receive! You can see the 2.4GHz antenna here as well. It's pretty standard, allowing you to rotate it back and fourth 180 degrees. It can also be straight, bent 45 degrees (shown), or also bent 90 degrees, depending on the angle you like to hold your radio. ORDER NOW!! 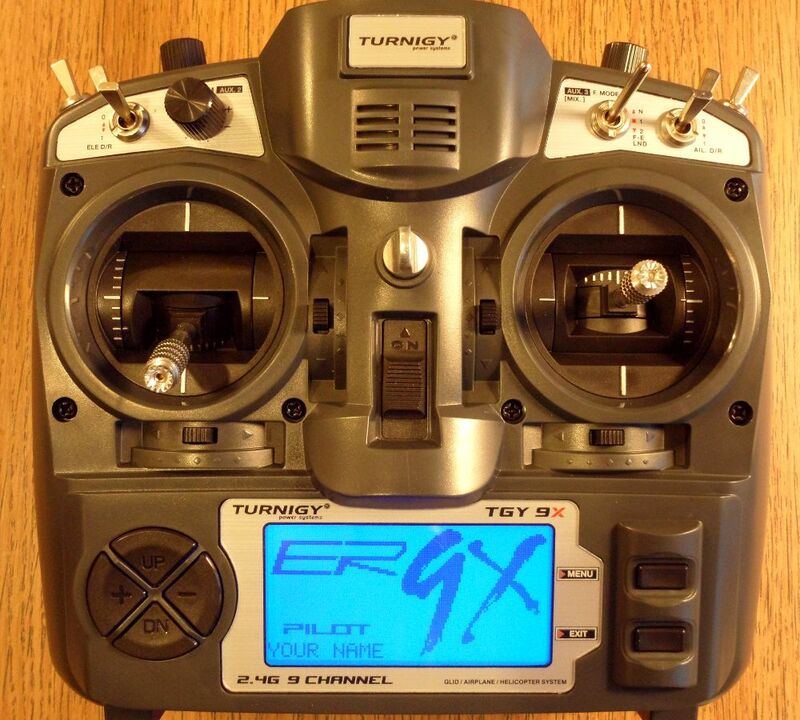 Includes Complete Turnigy 9X Tx/Rx with Mods!